My wife and I went to see the Picasso exhibition of portraits at the National Portrait Gallery last Saturday. Until I went to the exhibition, I hadn’t been aware of the enormous range of portraits, in varying styles, Picasso had painted, and most were not included in the exhibition. 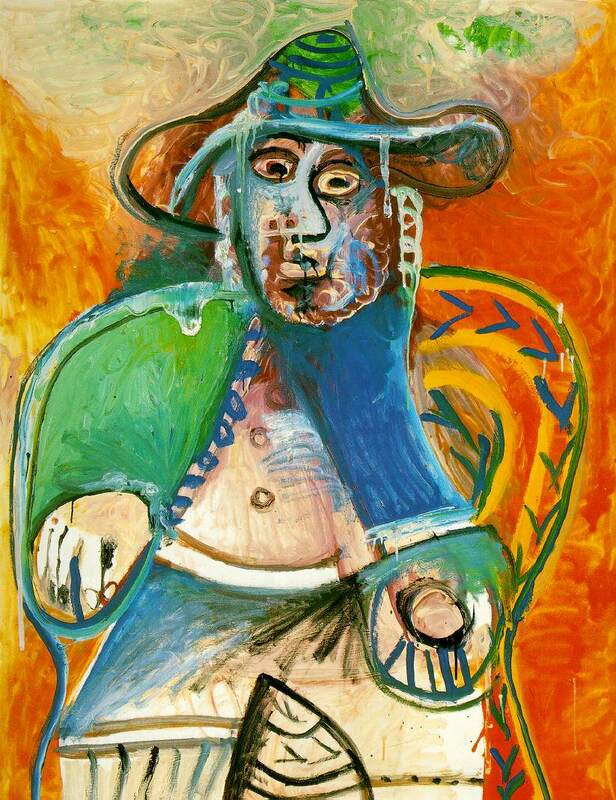 I have to confess that I liked best Picasso’s paintings in the traditional style. In these paintings, one can really see Picasso’s artistic skill. One other aspect of these paintings that impressed me was that the character of the subject was clearly identified in the picture. It was this aspect that reminded me of the writer’s task in establishing an identity in his characters. Picasso was less interested in presenting a clear likeness of his subject than in suggesting to the viewer the personality of the subject. These are two portraits of Olga Khokhlova, Picasso’s first wife and a Ukrainian ballerina whom Picasso married in 1918. The painting on the right was done early in the relationship. 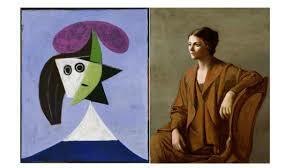 In it one can see an elegant, beautifully dressed woman whom Picasso admired greatly. Olga was, in fact an aristocrat who enjoyed a full social life. Picasso grew tired of the meaningless social life and returned to his private, bohemian lifestyle, eventually beginning an affair with the 17 year-old Parisian girl, Marie-Thérèse Walter. The two stayed married until Olga’s death in 1955 because Picasso refused to grant a divorce which would have given her half his assets. The portrait on the left is of Olga painted during the period of estrangement. Her head appears to be precariously attached to her body signifying, perhaps, lack of substance. Her hair is orderly and disorderly. The stylish purple hat looks rather silly. The black eyes look out toward Picasso critically. The mouth is small and a bit sad. In these two portraits one can see both a changed relationship and two different views of the same person. Kahnweiler was a German-born art historian, art collector, and one of the premier French art dealers of the 20th century. He became prominent as an art gallery owner in Paris beginning in 1907 and he was among the first champions of cubism and Picasso. Picasso wrote of Kahnweiler “What would have become of us if Kahnweiler hadn’t had a business sense?” The figure in the painting is imposing, the head powerful, the hands relaxed but commanding. There is light that seems to emanate from the head and the hands. One has the impression of a dynamic, creative and important person. When one looks at the painting itself, which must be about a meter and a half tall, one can’t help but be impressed by the intricacy of the brushwork and the hours that Picasso worked on this portrait. It is certainly a fitting tribute to a very important influence in Picasso’s life. 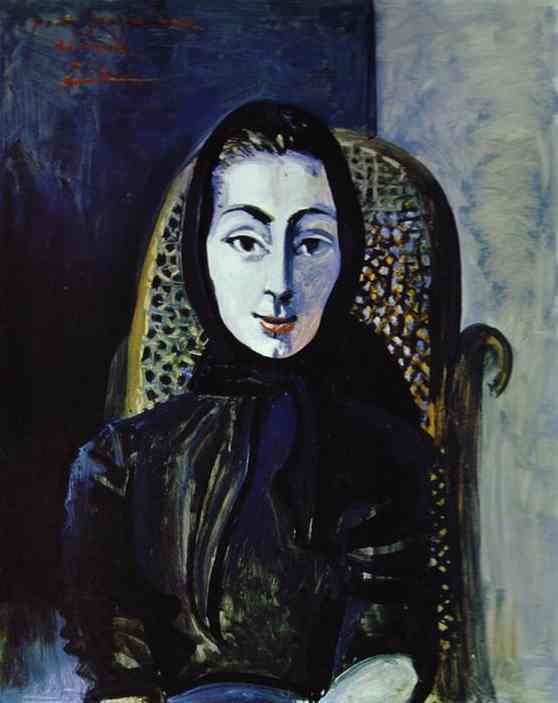 Jacqueline Roque was Picasso’s second wife whom he married in 1961, and she outlived him. She was his favorite female subject; in 1963 he painted her portrait 160 times, and continued to paint her, in increasingly abstracted forms, until 1972. In looking at the portrait, one has a sense of a strong relationship between the subject and the painter. She is dressed in black but does not seem to be in mourning; in fact her forthright stare and raised eyebrows suggest a positive outlook. She appears to be about to disclose something important. The figure expresses confidence and femininity. 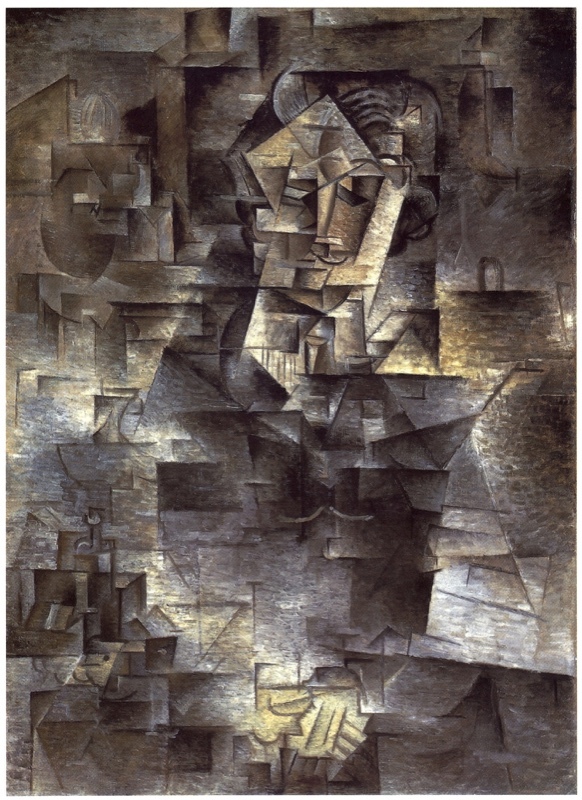 This is a self-portrait of Picasso in a posture similar to a Rembrandt self-portrait; Picasso greatly admired Rembrandt. This was painted in the last year of Picasso’s life, and suggests a powerful figure looking out on the world. There is little motion in the picture, except for what appears to be heat on the right which dissipates toward the left. His right hand is clearly shown; the left hand is somehow disabled. His exposed upper torso conveys a sense of vitality in spite if the stasis. The face seems prepared to make an announcement. Overall, one has the impression of a painter who knows what he wants to paint and why and who cares very little for the reaction of his audience. Picasso was highly skilled in communicating a message along with the image in his paintings, and this is particularly evident in his portraits. Artists and writers share a challenge: defining a character to the viewer/reader.